A solid sci-fi flick that might have worked better had it not been forced into the Cloverfield franchise. Hamilton (Gugu Mbatha-Raw) leaves her husband Michael (Roger Davies) behind in NYC so she can go aboard a space station where a massive hadron collider she helped design will be tested in an attempt to solve earth’s energy crisis and stave off a looming world war. She’s joined by the international crew of Kiel (David Oyelowo), Schmidt (Daniel Bruhl), Monk (John Ortiz), Mundy (Chris O’Dowd), Volkov (Aksel Hennie) and Tam (Ziyi Zhang). The crew spend years on the space station, performing dozens of tests on the hadron collider, each time hoping they’ll get it right and create near-unlimited energy. Unfortunately, it never works… until one day, when they only have enough energy for 2 more tests, it does. Their celebration doesn’t last long, however, when they discover they’re not able to report back to Earth about their success… because Earth is gone! As the crew tries to find out where they are or where their home world is, strange things start happening. The colony of worms onboard the ship vanish, Volkov’s body starts misbehaving in gross ways, the “battery” for the Large Hadron Collider is gone, and there’s a mysterious woman named Jenson (Elizabeth Debicki) partially merged with the wall and wiring of the ship who claims to be part of their crew. 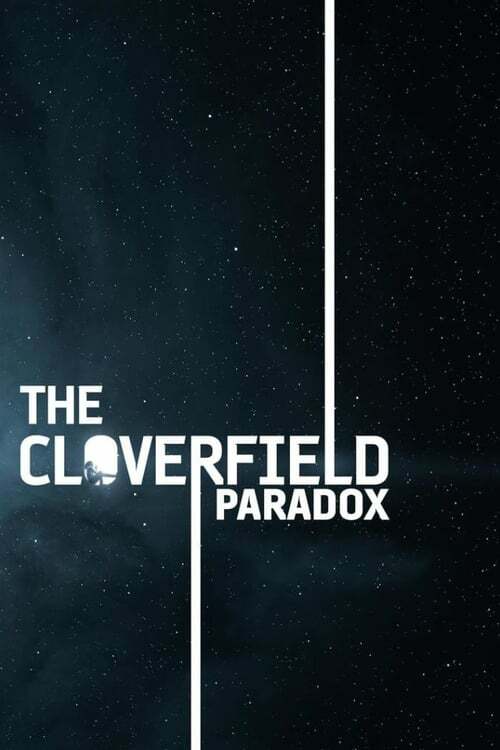 The Cloverfield Paradox is the third installment of the Cloverfield series. It’s meant to act as a prequel (sort of) to the first movie, but much like 10 Cloverfield Lane, you don’t need to see the earlier installments to know what’s going on because it’s only barely connected. That’s because this was not supposed to be a Cloverfield movie originally. Originally titled God Particle, the script (by Oren Uziel, writer of Netflix’s Shimmer Lake, zombie movie Freaks of Nature, and 22 Jump Street) hit the town back in 2012 and was eventually bought by producer J.J. Abrams in 2016 with a 2017 release. Rewrites by Doug Jung (writer of J.J. Abrams’ Star Trek: Beyond) led to rumors it would be included in the “Cloverfield Universe”, and its still-rumored released was pushed back to April of this year. Low and behold, a Super Bowl Sunday Miracle occurred when a trailer for this anticipated, yet still unknown film finally hit during the big game along with the announcement the film would be available on Netflix right after the game! Netflix had a stroke of genius by holding back all information, footage, and even the release date until the day of. They continue to prove they are changing the game of cinema just as much as they are for television. They’re a studio, they’re a network, they are all things to all people and now they’re changing the advertising game as well by removing it from the equation until it can be most impactful. This makes economic sense for them in terms of advertising budget, and saves the would-be audience from being beat over the head with the same images over and over, eventually already knowing the story because of all the footage in a plethora of different trailers. Basically, the only reason this film was turned into a Cloverfield movie was to get more people to watch it. The rewrites tie it very loosely to the original film, adding in the Cloverfield monster, and even a bunker like 10 Cloverfield Lane… but it’s not enough to feel like it belongs. The film would play just as well (or possibly better) if it were its own property. By forcing it to be a part of the Cloverfield franchise, it did more harm than good as brand new unanswered questions were raised, and the old questions were just barely answered. There’s nothing “wrong” with this movie. The acting is good, the cinematography is good, the story is good, although it feels like a mashup of various other sci-fi flicks we’ve seen before. It did a good job of keeping us guessing what happened and where they (and Earth) are making for a game of “solve the mystery” from your iPad or TV screen. However, it could be argued these same things are what’s wrong with the movie. The hodgepodge of previous sci-fi stories here gives a “been there done that” feel and at times can feel slightly convoluted. And again, it being forced into the Cloverfield universe leaves a lot to be desired. Overall, The Cloverfield Paradox is a good time, and Netflix’s surprising release/unveiling is destined to change the way these movies are presented. It’s got plenty of cool elements and enough brains to keep you mentally on your toes. Still, it might’ve worked better as a standalone film without ties to the preceding films it’s supposed to be franchised with. Some may find it a little lackluster as it’s been unexpectedly released during award season fever (which means scrutinizing every film as a pieces of art rather than entertainment), but as a whole the movie works.